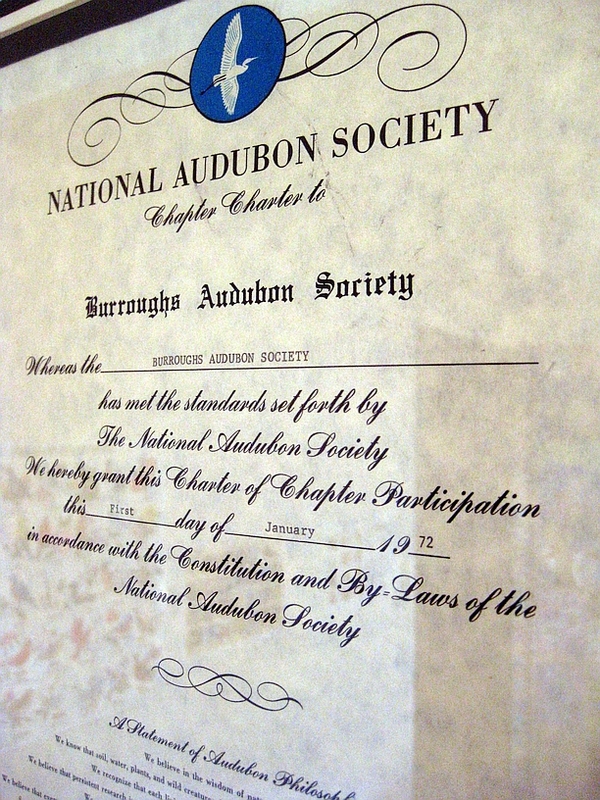 Burroughs Nature Club becomes Burroughs Audubon Society on January 1, 1972. BAS History, Week 2: This year marks not only our 100th anniversary as a group, but our 47th anniversary as an Audubon chapter! In the early 1970s, there was a veritable flood of information coming forth about human-caused environmental crises resulting in a great wave of grassroots energy and resolve to do something about them. Legislation was swiftly crafted to protect endangered species, air quality and water quality in perpetuity. Many small local “nature clubs” heeded the call to join with larger national organizations in order to multiply their members’ voices and exert greater influence for needed changes. And so it was with the 53-year-old Burroughs Nature Club. 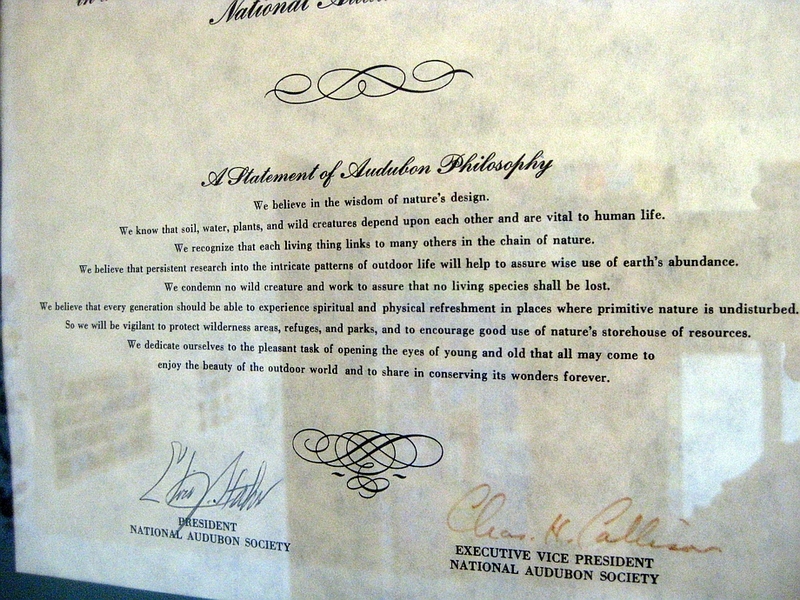 Here is our charter, still prominently displayed in our Nature Center for all to see and enjoy. 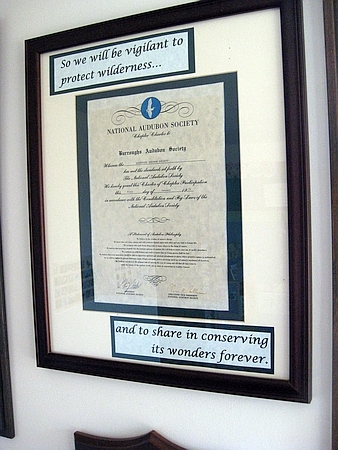 BAS charter on display at the Burroughs Nature Center and Bird Sanctuary in Fleming Park. And I defy any bird or nature lover to read through the “Statement of Audubon Philosophy” and emerge without at least a small tear in your eye. So we will be vigilant to protect wilderness and to share in conserving its wonders forever.